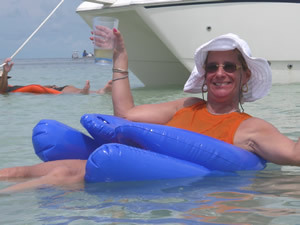 Welcome to America's Boating Club™ of Key West! We are a non-profit boating, educational, and social organization active in the Florida Keys from the seven-mile bridge to Key West. Our members participate in educational, civic service, and social activities on-the-water and ashore. Whether you have a fishing boat, sailboat, kayak, cruiser, or run-about, you will benefit from the boating courses that we offer! 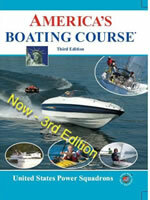 We provide public classes in boating skills that meet Florida state requirements. We offer members advanced courses in Seamanship, Navigation, Weather, Piloting, Engine Maintenance and many others. We also offer Vessel Safety Checks free of charge. This is a good way to make sure your vessel complies with federal and state safety requirements. To set up a free inspection, contact us at 305-296-2060. Follow our links to learn more about our programs. Attend one of our monthly sunset parties as our guest to check us out. The Club Activities page will tell you when and where they will occur. We are friendly folks that share an interest in boating and would love to have you come and join us!